Chineside is a delightful community in the city of Coquitlam, British Columbia. 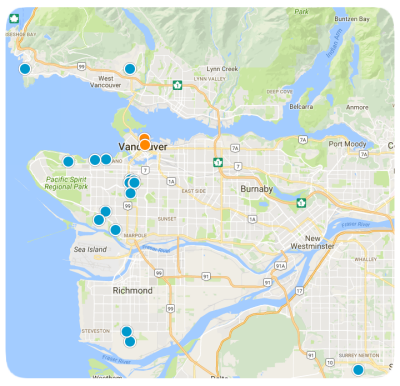 Homes in the lower mainland are generally more on the expensive side, and the farther west you go, the closer you get to homes consistently in the seven digits. Chineside is an exception, with homes being more affordable. Homes in Chineside are fairly priced to fit most families’ budgets while still ensuring homebuyers a wonderful, quality home. Nearby communities include Cassin to the northeast, Laurentian Belaire to the southwest, and Harbour Village to the east. Downtown Coquitlam is just to the northeast. Beautiful Mundy Park is a prominent feature of the Chineside community. Mundy Park is the largest park in Coquitlam with 176 hectares. The park features walking trails that meander past Mundy Lake and Lost Lake. There are also sports fields for disc golf and lacrosse, as well as an outdoor swimming pool, picnic area and playground. Black bears, raccoons, duck, geese, swans, deer and various other birds can be seen in Mundy Park. Scenes from the 2006 film Deck the Halls starring Danny DeVIto and Matthew Broderick were shot at Mundy Park. Coquitlam provides housing options to suit everyone's needs. Condominiums, townhomes, single-family homes and lots upon which to build a custom home are all real estate options available in the area surrounding the community of Chineside. Condominiums start at approximately $218,000 and go up in price to around $1,749,000 for a 3 bedroom, 3 bathroom penthouse with 2,018 square feet and gorgeous views. Single-family homes start around $89,900 and go up in price to approximately $5,999,000 for a 5 bedroom, 3 bathroom home with 2,183 square feet and desirable amenities. Lots are less plentiful than existing homes, however, lots can be found starting at approximately $649,000 and going up to around $2,150,000, depending on acreage and the desirability of its location. Contact us today with any questions or to schedule an appointment to see one of our properties in beautiful Chineside or any neighboring community of Coquitlam, British Columbia.